Chances are organic search is one of the biggest traffic sources to your website. Every experienced web manager or marketer is determined to bring as many visitors from engines like Google or Bing to their website as possible largely because, when done properly, this type of traffic can be accomplished for no cost (and who doesn’t love getting free clickthroughs to their content?). 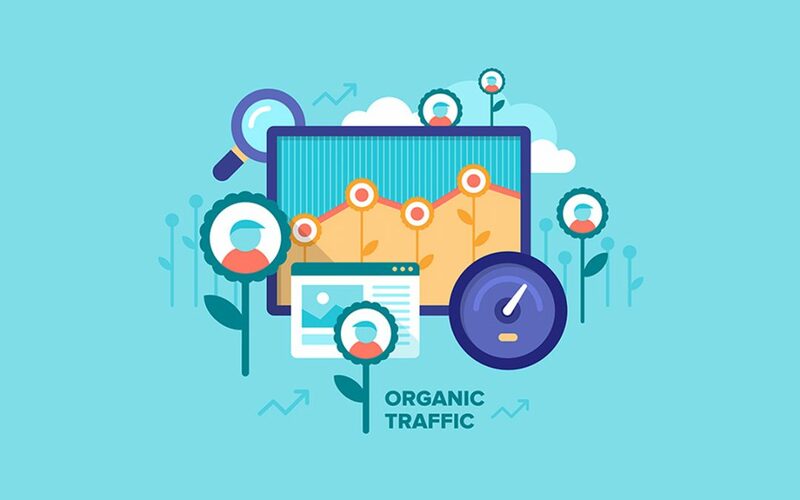 In most circumstances, tips for boosting your website’s organic traffic revolve around SEO best practices, which are important and will certainly help your rankings in search results. However, before you dive into the world of fine-tuning keywords and meta descriptions, your focus should be on the foundation of what brings users to your site: content. The content that exists on your webpages can work as a tool to generate organic traffic to your site, thanks to a string of updates to Google’s algorithms, including the Panda and Hummingbird updates. These updates place a higher priority on the quality of a website’s content as it relates to the context of a user’s search query, as opposed to just matching keywords of searches to websites. In short, the better a website’s content, the more opportunities it has to meet a relevant audience that is searching for it. So what constitutes as high-quality content? For starters, each of your website’s pages should have an appropriate amount of text; a page with very little text will be considered low quality by search engines and a page with lots of text could overwhelm readers. Pages should also contain high-resolution images. Your static webpages (pages that feature information about your products, services and company) should include relevant information to what your customers would search for, and should aim to answer questions a prospective customer might ask. Not sure what those questions are? Take some time to consider the buyer personas of your key customers. In fact, understanding your target audience and developing your buyer personas should be a priority in your marketing program. Many websites stop after creating a few static webpages. However, if you want to boost your website visits even more, you should also create a blog or news section where you can frequently publish relevant, timely content that will encourage users to continue coming back to your site. Blog posts serve as a critical element in a content marketing strategy and can also be a powerful source of organic traffic. The more you update your site with fresh, new content, the more frequently Google will crawl your site for search terms, and the more opportunities you create for users to find content to click on. A lot of companies have blogs. Very few use them correctly. When used properly, blog can be used as a gateway to your company’s products and services. It can serve as a way to meet a prospective customer’s needs without directly selling them a service, introducing them to your brand and your knowledge on a particular subject matter so that when the time is right for a purchase to be made, they choose you. However, in many cases, companies skip this awareness step of blogging and jump right to selling, only sharing content that promotes their company, products and services. If you think about your own online reading habits, how many articles do you read that only share information about the author or spend the bulk of the text selling you on a product or service? Probably none. Because that would be awful. Create content that educates your readers and helps them solve common problems. If you can, try not to even mention your brand or product in the post. As with the content on your static pages, use buyer personas to determine the problems your average customers face, and provide helpful tips and solutions to them. Don’t worry about “giving away” too much information. As marketing guru Jay Baer states in his breakthrough book Youtility, “create content your customers would pay for.” The more help you give, the more strength you lend to your brand, which will inevitably lead to more sales. And – as long as it is relevant to the products/services you sell – this educational content will bring even more organic traffic from users that may not necessarily be looking for your company or products, but are just trying to get help with a specific issue. Google rewards relevant content that aims to answer users’ questions with higher search rankings. Once your site is beaming with awesome content, then you can focus on the search engine optimization techniques that will take your organic traffic to the next level. Stay tuned for more content and SEO tips on our blog!